Brianne Planko, April Frank, and Sharon Borgos onboard at FingerPaint Marketing, Inc.
SARATOGA SPRINGS, NY –FingerPaint Marketing, Inc., a fully integrated marketing and advertising agency, announces the addition of Brianne Planko, April Frank, and Sharon Borgos to its growing team. 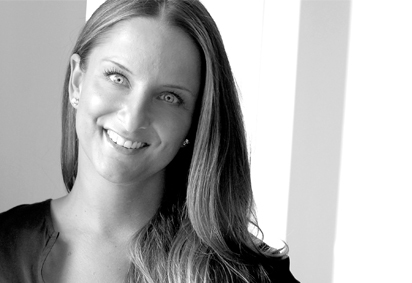 Brianne Planko joins FingerPaint Marketing’s account service team to manage client work in all areas of marketing and advertising. Planko has over 10 years’ experience in marketing and sales. In New York City, she worked at well-known retailers such as Lord & Taylor and Macy’s, managing integrated events and sales efforts. As brand manager at Kellwood Company, Planko managed sales for international brands including Nautica and Claiborne. Planko received her Bachelor of Professional Studies in fashion merchandising with a minor in business administration. April Frank joins FingerPaint’s project management team. She comes to FingerPaint with experience in client relations and project management. Most recently, Frank worked at The Brian Lee Law Firm, leading their corporate marketing efforts as well as managing client projects. She also worked at several Capital Region communications firms in promotion, marketing, and reporting roles, including WRVO Radio, Otto Media, and CNY Central. Frank dual majored at the State University of New York at Oswego in broadcasting mass communications and music. Sharon Borgos joins the account service team at FingerPaint where she will manage client projects including strategic planning, branding, and all aspects of advertising and marketing in US and international markets. Prior to joining FingerPaint, Borgos was at AngioDynamics in Latham, NY, as global brand manager, responsible for the marketing efforts of over 30 distinct devices. She also spent time as their Marketing Communications Program manager, where she managed the development of branding, messaging, and promotional materials for product initiatives. Borgos has spend over 10 years in marketing and communications at companies such as The Fund for Lake George, Behan Communications, Inc., and Baker Botts, L.L.P., Houston, to name a few. Borgos received her BS from Texas A&M University and an MBA from The College of Saint Rose, Albany, NY. FingerPaint Marketing is a fully integrated marketing and advertising agency, offering consumer and business-to-business communications solutions. Suits and bureaucracy are out. Smocks and pure creativity are in. For more information on FingerPaint Marketing visit http://www.fingerpaintmarketing.com. This entry was posted on September 18, 2012 by Lia Chang in New York and tagged advertising, April Frank, Brianne Planko, FingerPaint Marketing Inc., marketing, Sharon Borgos.